"Animal Transactions" are regularly asked to submit work for publication for animal training, zoology and veterinary publications about our work. To obtain back copies of our articles, please use the contact page and we will be happy to forward these to you. Alternatively, please contact us with regards to submitting an article or advice. 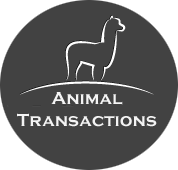 Our book "Animal Transactions" will be published soon. Please feel free to use the contact us page to order an advanced copy, or check back on our website shortly for latest news.